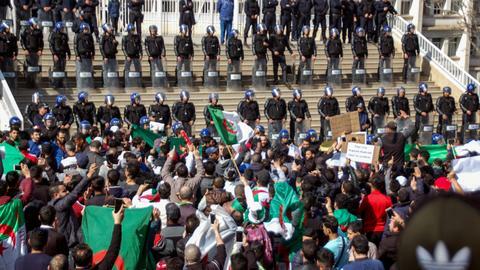 As Algerians protest, could the sun be setting on the Bouteflika era? 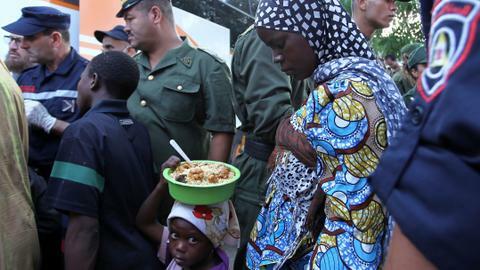 A battle has been won, but the struggle continues, what now for Algeria? Algeria's President Abdelaziz Bouteflika has bowed to public pressure and withdrawn his bid for a fifth term in office, but his new plan would see him stay in power for months beyond the expiry of his term on April 28. Algerian President Abdelaziz Bouteflika on Monday confirmed he will stay in power beyond his term expiring next month, despite tens of thousands of people demonstrating against his rule. Bouteflika announced on March 11 he was withdrawing from his bid for a fifth term, initially sparking elation among protesters before they realised he would remain in office beyond his term. The ailing 82-year-old also scrapped the election set for April 18 and announced he was rolling out reforms through a "national conference." 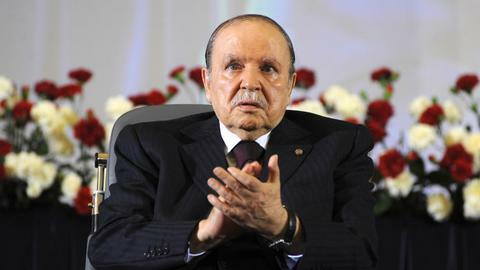 Rarely seen in public since a 2013 stroke, Bouteflika issued a statement on Monday that confirmed his new plan would see him stay in power for months beyond the expiry of his term on April 28. "[I hope] that Algeria experiences, in the near future, a harmonious transition and assists handing over the reins to a new generation," he said in the statement carried by state media. "This is the ultimate goal that I have committed to making a reality before the end of my presidential journey, at your side and at your service," added Bouteflika, who has ruled Algeria for 20 years. While Bouteflika has given no timetable for his national conference, he said the shake-up of Algeria's "political, economic and social systems" would start "in the very near future." A constitutional review would be put before a referendum, he said, which would be "a prelude to a new electoral process that will see the election of a new president." Organizers say 2,000 students, doctors, dentists and veterinarians marched in the Algerian capital on Tuesday to demand that President Abdelaziz Bouteflika step down. Protesters wearing white coats and stethoscopes marched from the central Algiers hospital shouting slogans including "You have ruined Algeria — you must leave," and "Free and democratic Algeria!" 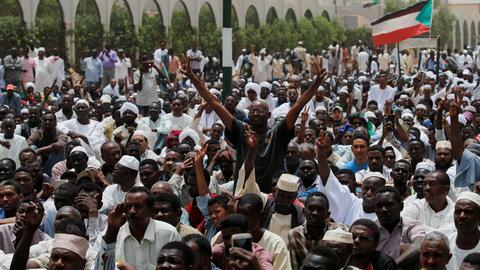 Demonstrators have ratcheted up demands that unpopular Bouteflika quit at the technical end of his April mandate. Protests initially erupted last month after Bouteflika announced his intention to stand for another term, bringing tens of thousands to the streets in the capital Algiers and across the country. In his latest message, Bouteflika appealed to Algerians to "offer your support to your army to protect Algeria from external dangers." The president's comments followed Algeria's army chief promising the military would remain "the bastion of the people and the nation." "Everyone must show responsibility to find solutions as soon as possible," Ahmed Gaid Salah said on Monday during a visit to the southwest of the country. Part of the president's inner circle, he said Algerians "have the abilities necessary to prevent their country from any situation [in which] it could be exploited by hostile foreign parties." 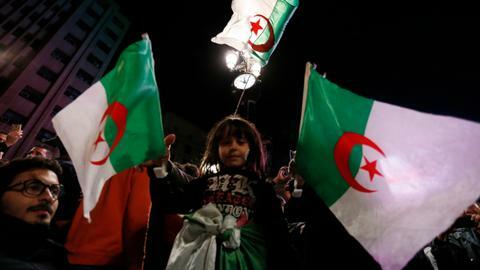 Authorities have previously warned that the protests risk dragging Algeria into instability, comparing the rallies to those that sparked Syria's ongoing war. Lakhdar Brahimi, a veteran Algerian diplomat and former UN envoy for Syria, on Monday denied references to turmoil in other countries was intended to scare protesters. "We must be aware of the dangers that exist. Talking about Iraq or Syria is not an attempt to tell the population to hold still ... we tell them to go ahead with their open eyes," he said in a national radio interview. Brahimi called for structured and organised dialogue to take place as soon as possible. At the moment, he said, "there's a blockage, I hope that it's not a deadlock."